Round diamond burs have been used successfully in surgery for many years. The medium grit size provides the option for use both in gingival contouring, the support area of pontics as well as reliable cutting performance for the window technique. The instruments are available with both a contra-angle shank and also a handpiece shank. This aids precision working. 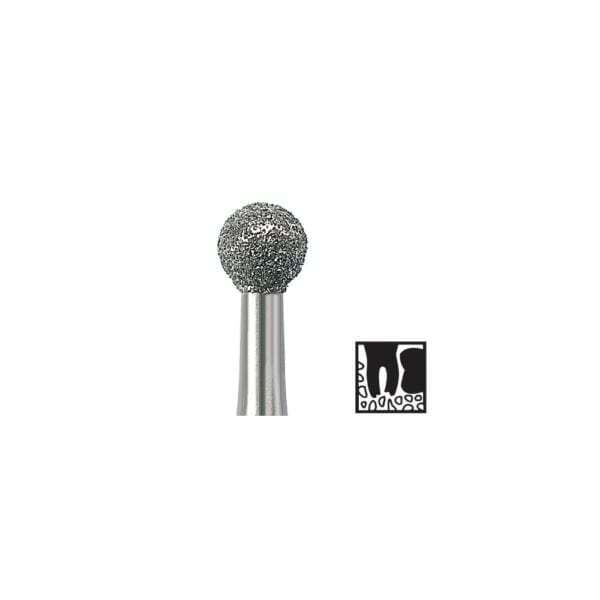 The high quality of the round diamond burs enables reliable preparation and allows repeated use. This ensures cost-effective working.